"The key to a happy and blissful life remains locked away in the deepest ocean of the world. But the will to find it, starts from within you"
No, this isn't a quote by any famous person, nor is it a line from some best seller. These are lines from the mind of an average person, on a soul-searching trip to Bhutan. Isn't it a bit curious that the deepest of thoughts occur to you when you least expect it? And with that little food for thought, I present you with 13 pictures taken by Instagrammers all over the world, that will blow your mind away and make you want to take that soul-searching trip to Bhutan. 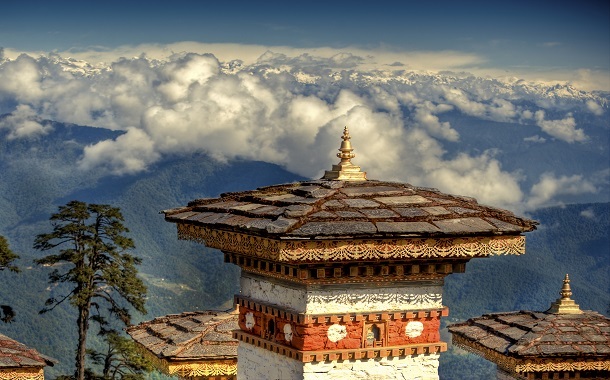 All you have to do is book an air ticket, and the beauty starts with an aerial view of Breath taking Bhutan!